My daughter Freeda calls me the Ultimate Mr. Mom -- it might be the title I'm most proud of, and, in some ways, it's been the most hard-won. With ten children ranging in age from four (George VI) to thirty (my daughter Michi), it takes some pretty fancy footwork to keep a fast-moving family happy and well fed. Starting with my toddler, who likes to eat a little bit throughout the day. (He, like all little ones, can be finicky, but I find that most kids will eat anything as long as you cut their food up small enough.) Then I've got meals and snacks for my teenagers and their friends who are just getting in from school or needing some high-energy fuel before heading off to practice. As for my wife, my older children, and myself, we're looking for grown-up good food that not only tastes great but is in line with our commitment to healthy choices. Between kids, schools, careers, and a heavyweight training schedule, the Foremans are a big, fast-moving family. Getting dinner on the table could be an endurance event, but instead of going ten rounds in the kitchen, I've got the 1­2 punch for fast and easy: George Foreman's Indoor Grilling Made Easy. These days, my family is no different from any other (although it's probably bigger than most); fast-paced schedules make putting good simple food on the table more of a gold-medal challenge than ever before. In this, my third cookbook, I aim to map out the simplest ways to feed your family healthy and delicious food using the cooking method that makes it easiest -- The Lean Mean Grilling Machine, the first indoor grill built with sloped plates so the fat just runs right off. Whether I'm making myself lunch or cooking dinner for the whole family, indoor grilling is the key to a fast, fuss-free meal. The recipes that follow are easy enough for beginner cooks but delicious enough for the most experienced eaters -- like me! For my super-sized family, cooking is a team sport. We use time in the kitchen as a time to be together, work together, and make plans. Some of my kids are in school while others are working on their own careers, so we really look forward to the times when we can all be together, putting dinner on the table. Sundays are what we look forward to most, when a big family dinner immediately follows church. I hear people complaining that they can't coordinate their family's hectic schedules, and, with a family as big and busy as mine, I know it's not easy. But we're committed to these times together -- it's that important to us. The Lean Mean Grilling Machine means we can spend less time cooking dinner and more time at the table, enjoying it. Besides fast and easy, I want food that's healthy. My philosophy toward healthy eating has been developed during my long career as an athlete. I've seen food fads come and go . . . and then come and go again! 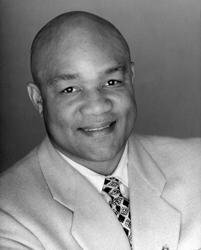 From my first Olympic Gold Medal in Mexico City back in 1968 to my second heavyweight title at the age of forty-five, I've had a bird's-eye view of diets that promised everything from peak performance to miracle weight loss. That year at the Olympics I remember some athletes believed that eating nothing but liver would help deliver first-place performances. Imagine! Since then there've been egg yolks, egg whites, no fat, low fat, high fat, high carbs, low carbs, and no carbs. I've tried some of them and seen my weight rise and fall along the way. While I had the discipline to capture the heavyweight championship twice, I found that when I wasn't training, junk food was irresistible. I grew up poor and hungry, so losing weight was a problem I never dreamed of having. But I'd pack on the pounds and then lose them the same way each time; dieting and intense training in the gym whenever I prepared for a fight. I know now that the best way to eat is also the simplest -- plenty of fresh fruits and vegetables, lean meats, and moderate portions. My no-fad, three-meals-a-day approach keeps me, and the whole Foreman crew, in tip-top shape with just a little bit of time spent in the kitchen. As head chef, I make sure that each meal is made up of protein: skinless chicken breasts, fresh fish, or my favorite, lean beef, along with platters of grilled vegetables and salad. My ideal meal is simply prepared, cooked in minutes, and leaves me and my family satisfied but not too full. The Lean Mean Grilling Machine is the best tool I know for cooking healthful, knock-out-the-fat meals in a flash. Indoor grilling means there are no coals to light and next to no preparation -- it's fast and flame free. Since the grill cooks both sides of everything at once, food is finished in no time flat. And cleanup is as simple as a damp sponge or paper towel. What you're left with is great-tasting, well-cooked food with no smoke but with those great-looking grill marks. The grill's patented sloped design means that excess fat drips away. I am the world champ of feeding the family, and nothing gets me out of the kitchen faster than the Lean Mean Grilling Machine. I finished building my family's dream house a while back, and one of the things I love best about it is that there's a kitchen attached to my home gym. Now I'm able to integrate a quick meal into my lengthy workouts and that means indoor grilling. A little grilled chicken or a protein-packed piece of fish along with a salad takes only minutes away from my workout but gives me the energy to keep on training. When the boys are working out I make sure there's a platter of grilled vegetables for them to snack on. As a father, I love having the kids and their friends front and center, and I love making sure they've got plenty of good food to eat. And my kids love to help out in the kitchen (I haven't met a kid who doesn't), so we've got a team approach to getting dinner on the table. The great thing about indoor grilling is that it's the perfect way to get the kids cooking -- there's no open flame or spattering oil to worry about, so it gives the kids a chance to actually cook dinner themselves! I can coach from the corner while George V, my thirteen-year-old, serves up our favorite Do-Anything Lemon Chicken Breasts, or while my sixteen-year-old, George IV, whips up quesadillas for his friends. Even my four-year-old, George VI, gets into the game -- he's the salad king -- now that organic spinach and greens are sold pre-washed and ready to go. Nothing makes me happier than spending time together -- a little time to make dinner, and a lot of time to eat it. I like to cook fast and I like to cook delicious, and these recipes help me do it. Everywhere I go, any time I meet people, they tell me how much they love the grill. I've met kids who've never cooked anything before going off to college, where they met their first Lean Mean Grilling Machine -- they discovered that they could make a fast dinner for their friends and that they loved doing it. I've even met world-famous chefs who tell me that, in the off-hours, when it's just them and their families, they rely on the Lean Mean Grilling Machine for fast, delicious meals. I'm proud that the grill and the book offer something for everyone -- from kitchen champ to featherweight amateurs, everyone loves cooking on the Lean Mean Grilling Machine. The recipes in this book can get anyone in the kitchen, cooking like a pro. 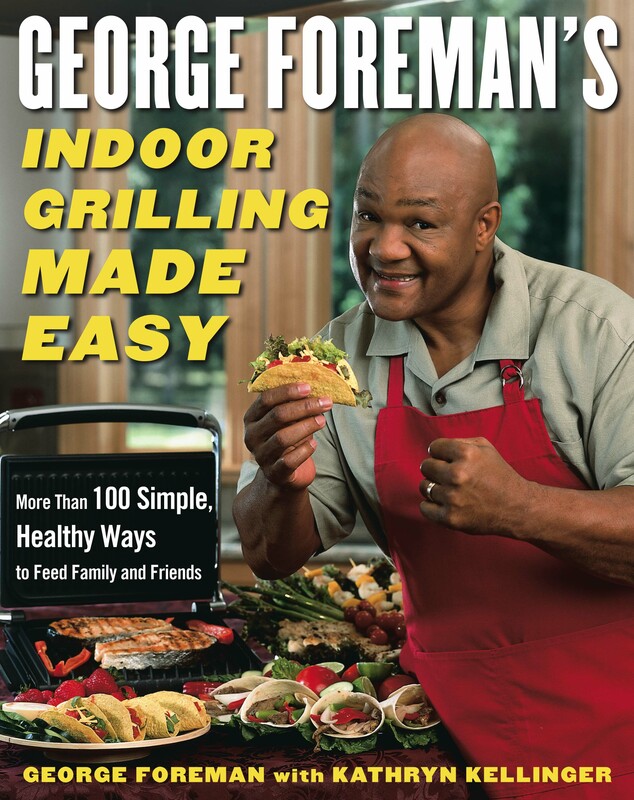 George Foreman's Indoor Grilling Made Easy is just that -- recipes that deliver fast and flavorful results and are easy enough for beginner cooks, but delicious enough for everyone. Whether you're cooking for one or for a whole crowd, whether you've never cooked before or are a seasoned pro, these recipes offer the broad view of quick and easy indoor grilling. From a gaggle of grilled cheese sandwiches to the exotic flavors of Southeast Asia, these are the recipes that have been the most useful to our family -- quick midweek suppers, panini and burgers that the kids can't seem to get enough of, and tasty, protein-packed dinners for grown-ups watching their waistlines. These recipes cover all the ground the Foreman family needs to keep everyone well fed and on their way. Cooking for the people you love is one of life's greatest gifts, and if you're as fortunate as I've been, you've got a whole hungry army waiting for supper.